The chorus to Kenny Rogers’ song, “The Gambler” always gets me thinking of negotiation and poker. Both disciplines are so intricately linked and both have so much in common. The opening line of the chorus, “You’ve got to know when to hold ’em” may be one of the most profound things anyone has said regarding poker and by extension, in my estimation, negotiation. Now, maybe I’m the only one who views Kenny Rogers’ music as profound, but hear me out. So often in our negotiation practices, reading and study we hear of when to fold, when to walk away, when to run, but we hardly ever hear of when to hold ’em (when to keep negotiating). People often think, by a process of elimination, if you know when to fold them, you must know when to hold them. But this is not necessarily true. As Rogers accurately points out, you have to know when to do both. 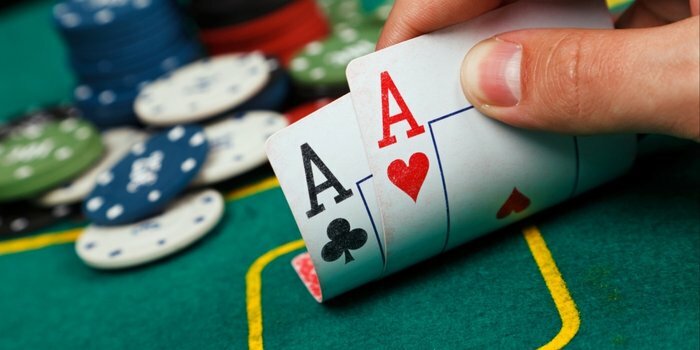 What most people don’t realize is that by actively choosing not to fold, you are actively choosing to hold, and therefore actively choosing to continue to play (to continue to negotiate). By continuing to play (negotiate), this means that you believe the probability of the card(s) turning up that positively affects your hand (the negotiation input(s) changing that positively affects your negotiation) is high. It also means that the positive gain associated to utilizing the card(s) (input(s)) outweighs the cost of folding (walking away) – as long as it shows it shows up. Unfortunately, most people don’t think ‘this’ way. What is ‘this’ way of thinking? ‘This’ way of thinking involves thinking in terms of the probabilities of certain outcomes associated to the decisions we make (probabilistic thinking). Why don’t most people think this way? Because it’s hard and our brains rebel against it. As Daniel Kahneman so perfectly points out in his AMAZING book, “Thinking Fast and Slow”, most people (the majority of the population) are too lazy to implement system two thinking (of which probabilistic thinking is a part). We’d much rather rely on our fast, instinctive and emotional ‘gut feeling’ (system one thinking) than our slow, deliberate and logical thinking (system two thinking). Unfortunately for most of us, this means that we are bound by our reactive emotions for most decisions instead of being proactive and making our our emotions work for us. That’s a lot to absorb. Let that sink in for a second. The next most logical question then becomes, “How do we learn how to know when to hold’em (to keep negotiating and implement system two thinking)”. Bad news – there’s no silver bullet. You literally have to force yourself to slow down and do the objective math to determine whether continuing to negotiate has a higher probability of a positive outcome than walking away. Yes, we can teach you how to do this, but even if we teach you, you must actually do it to get the benefits of this type of thinking. You have to be consciously aware of every decision you make (or choose not to make) and determine how that may play out. You can’t be a lazy thinker. IT TAKES A LOT OF PRACTICE. The more you practice probabilistic thinking, the better you get at it and the easier it becomes to implement. Because you can’t trust your gut to make objective decisions. If this is your first time reading the newsletter, you’ve probably realized by now that I don’t sugar coat things. At no point in time am I ever going to B.S. you and tell you that mastering negotiation is easy. But, it is enjoyably difficult! As with mastering any skill, mastering negotiation takes time and effort, but it’s fun! It’s fun, because unlike most disciplines you’ll practice, the better you get, the more money you’ll make, the lower risk you’ll take on, the more incremental gains to your life will be added. Getting better at negotiation will literally transform your life. You just have to know when to hold ’em.